How can I upload an image to the dashboard? 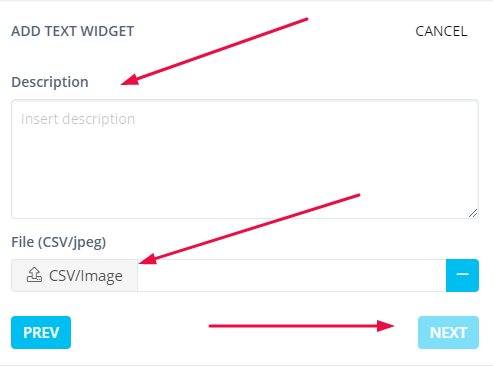 Learn how to upload an IMAGE file to your dashboard. 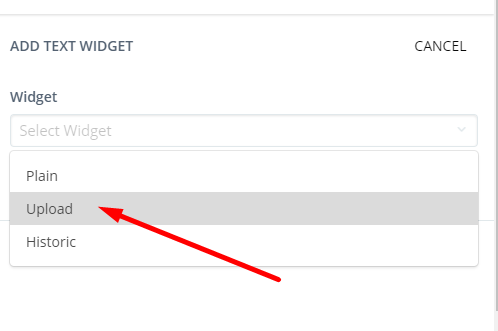 In the dashboard edit mode, go to the right sidebar, and in the “Add text widget” segment, select Upload and hit Next. Then, select your image file, and if you wish, you can add a widget description. After that, select the widget size, and from the drop down menu, select the “Regular Card” option. NOTE: You can also use markdown for all passive widgets and footers.